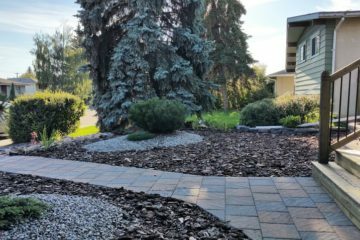 Our team of educated landscapers service a wide range of residential and commercial properties in Edmonton, Sherwood Park and area. From the initial consultation to design and installation of beautiful landscapes, our team is dedicated to industry best-practices while providing exceptional services catered to each of our client's needs. In our quick changing climate it is essential to be prepared. 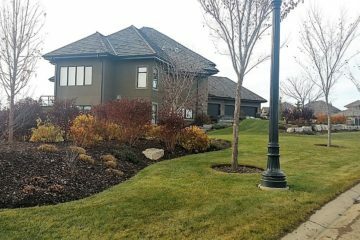 That's why we designed top tier competitive services for spring and fall clean up's, landscaping in Edmonton, Landscaping in Sherwood Park and Commercial snow removal in Edmonton and Sherwood park. As a company we highly value education in our fields and encourage all of our staff to join the apprenticeship program or continue their education in the industry. Our team is made up of highly skilled and educated members who think outside the box and pay attention to the small details. We consider the art of design, practice of sustainability and the science of landscape construction to create a custom oasis that fulfills our client's needs. Book Your Fall Clean Up Today! 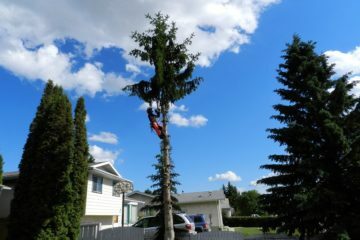 I hired an arborist to remove an overgrown tree. After three months, I still had a tree and had not heard anything from that company. A colleague of mine referred me to Mother Nature’s. They were working on a project near by and was able to come by that evening and give me a quote. His in depth knowledge and professionalism impressed me. He provided me with some useful information regarding my yard and then emailed me a list of replacement trees that he suggested and why they were an appropriate pick for my yard. The job was soon completed according to plan. I will hire Mother Nature’s Contractor in the future for yearly maintenance. Danny and his crew performed a drastic restoration to a property that I recently purchased. He communicated a number of ideas and options with me through emails and phone calls for a couple weeks before I decided on a course of action. I was pleased with all his suggestions and completion of work. It was a pleasant experience that I suggest to anyone who needs a outdoor makeover. I hired Mother Nature’s Contractor to raise and regrade beside my house, replacing the window well and bringing the grade up approximately 4 inches. We had water in our basement and needed the work done quickly and Danny and his team delivered, Danny came out to provide a quote on a Thursday evening an by the following Wednesday the work was complete, on time and on budget. Danny and his team were very professional and approachable, willing to answer questions and adjust the plans on the fly, I wouldn’t hesitate to hire Mother Nature’s Contractor again.